BEIJING — Asian stock markets were mixed Thursday after China reported unexpectedly strong trade and Wall Street's Nasdaq index hit a record-high close. KEEPING SCORE: Tokyo's Nikkei 225 shed 0.2 percent to 16,971.05 points and Hong Kong's Hang Seng added 0.1 percent to 23,769.35. The Shanghai Composite Index was unchanged at 3,089.39 and Sydney's S&P-ASX 200 advanced 0.4 percent to 5,497.40. Seoul's Kospi rose 0.9 percent to 2,017.94 and New Zealand also rose. Benchmarks in Taiwan, Singapore and Jakarta declined. 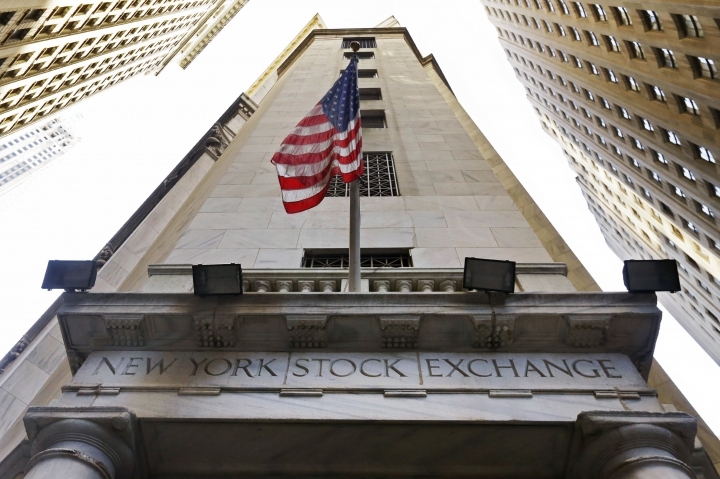 WALL STREET: The Nasdaq composite turned in its second straight record-high close while the Dow Jones industrial average and the Standard & Poor's 500 index declined. Supermarket chains and other consumer-focused companies were among the biggest decliners. Traders bid up shares in energy, technology and airline companies. The Nasdaq added 8.02 points, or 0.2 percent, to 5,283.93. The Dow dropped 11.98 points, or 0.1 percent, to 18,526.14 and the S&P 500 index slipped 0.32 points, or 0.01 percent, to 2,186.16. CHINA TRADE: Exports rose in August for the first time since late 2014, while a contraction in imports narrowed in a positive sign for global economic growth. Exports expanded by an unexpectedly strong 1.5 percent, up from July's 12.5 percent plunge. Exports fell 2.8 percent but that also was better than forecast and an improvement over the previous month's 4.4 percent contraction. The export gain was a positive sign for Chinese leaders who are trying to protect millions of trade-supported jobs. The improvement in imports suggested lackluster Chinese domestic demand might be firming up. ANALYST'S TAKE: "Global equities have been climbing to a 12-month high recently, and are showing signs of fatigue," said Bernard Aw of IG in a report. "Corporate earnings challenges aside, market participants will need a fresh catalyst for stocks to resume its bullish trajectory," he said. "This could come in the form of more stimulus from the ECB (European Central Bank) or BOJ, or a stronger consensus on the delay in US rate hike for the rest of the year. However, the ECB is unlikely to come bearing stimulus gifts tonight when the council sets the policy decision, beyond getting another 6-month extension to the QE program." ECB WATCH: Investors were looking ahead to the European Central Bank's policy meeting for signs of when it might raise euro zone interest rates. Forecasters expected no change following the ECB's comment in its July review that it needed to closely watch the impact of Britain's vote to leave the 28-nation trading bloc. Inflation is well below the bank's target, with consumer prices barely changed this year. ENERGY: Benchmark U.S. crude rose 81 cents to $46.31 per barrel in electronic trading on the New York Mercantile Exchange. The contract gained 67 cents on Wednesday to close at $45.50. Brent crude, used to price international oils, rose 76 cents to $48.74 in London. It added 72 cents on Wednesday to close at $47.98. CURRENCIES: The dollar edged down to 101.50 yen from Wednesday's 101.71 yen. The euro advanced to $1.1253 from $1.1241.